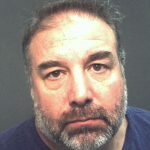 PatTorreFraud.info – Information about Patrick J Torre – Central Florida's Fraudster. This man has stolen millions from the people of Florida and still walks the streets. It's time to FIGHT BACK! …he’s been all over the news. You’ve probably already been scammed by this guy and in pure frustration, did a Google search for his name, plus the term “fraud” in the search words to see if anything turns up…….does this face look familiar??? And so it begins. You landed on this site, only to learn you are NOT alone. 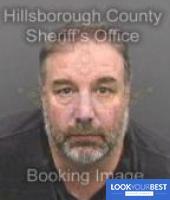 Patrick Joseph Torre has been defrauding the people of Central Florida for quite some time. Even as a convicted felon, he still continues to prey on trusting people, over and over again. Why? Because our crummy criminal system does not monitor him like they should. The courts allow him to live in our society, but it seems that only the working class people realize the pain, because he simply and truly cannot avoid committing crimes. This website was created in 2014, as a resource for people to learn as much about this fraudster without having to personally search all over the web to get it. Real estate theft, attempts to defraud the Turnpike authority, stealing motorcycles, the list goes on. As a victim, I know how it feels to be burnt by him. So to settle the score, I put this resource together to not only share my story, but to educate people on his past, protect their future and share with others. Hopefully my information can help you recover some, if not all of your damages. First and foremost, I ask every visitor of this site to stop giving any of your business to Brandon Harley-Davidson. They’re supporting him by giving him a job and should feel the squeeze for hiring a fraudster. 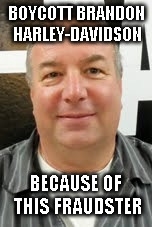 For those of you who want to truly help the cause, read the timeline, understand your fraudster and then and click this link: Let the owners at Brandon Harley-Davidson know just how you feel and why you wouldn’t buy anything from them. Why?? They’re supporting a convicted felon! They don’t deserve your business. Pat and his band of followers have tried to shut down this website for quite some time and for a very short few weeks, they were able to temporarily have this site suspended. BUT, we’re back! It was shut down only because Google doesn’t want the heat associated by the truth. Now this site is being hosted away from Google and not bound by some silly terms of service that protects the guilty, and their little whiny minions. Hey Pat, an eye for an eye! It’s time we fight back. I hope you’re ready for it…..storm’s a coming. Every chance we get, we’ll figure out where you work and help you out of a paying job. Let’s see how you survive after you get what’s coming to you. It’s your turn to feel the burn. We don’t want you here, so go find a different state to live in. It’s time to stop the nonsense!